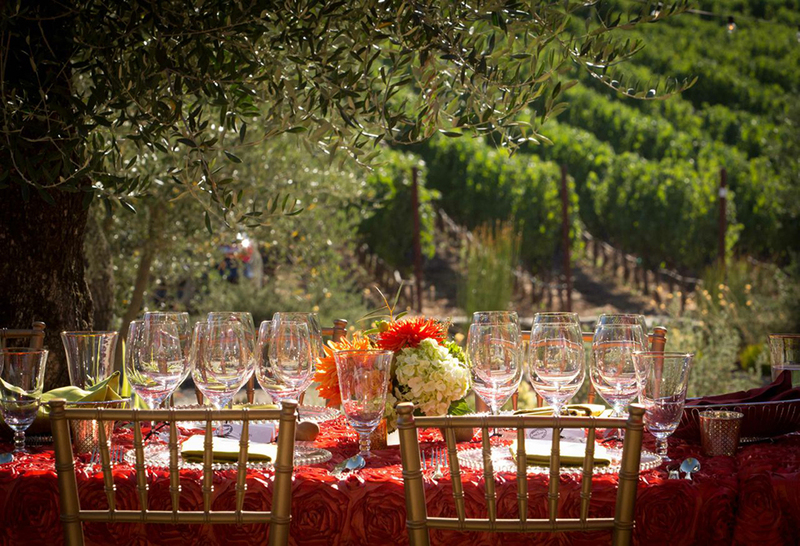 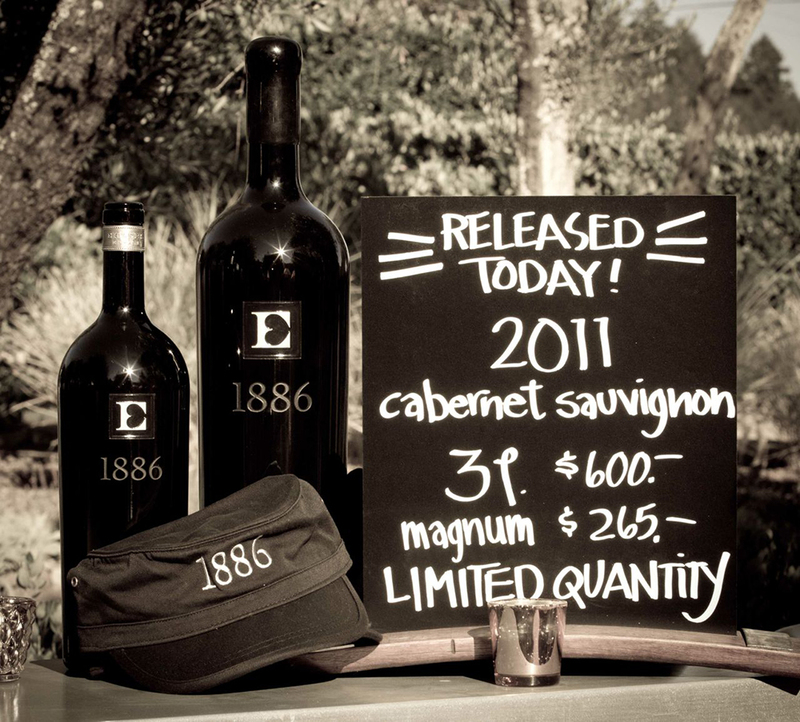 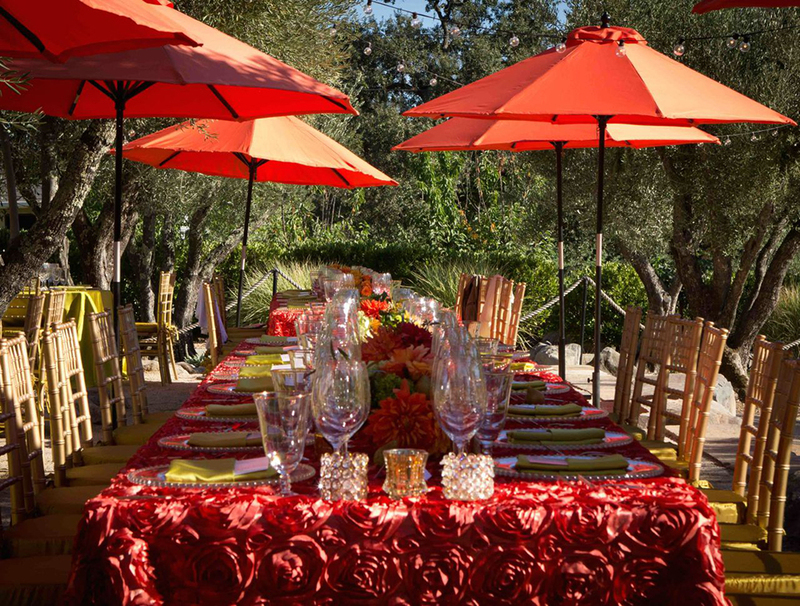 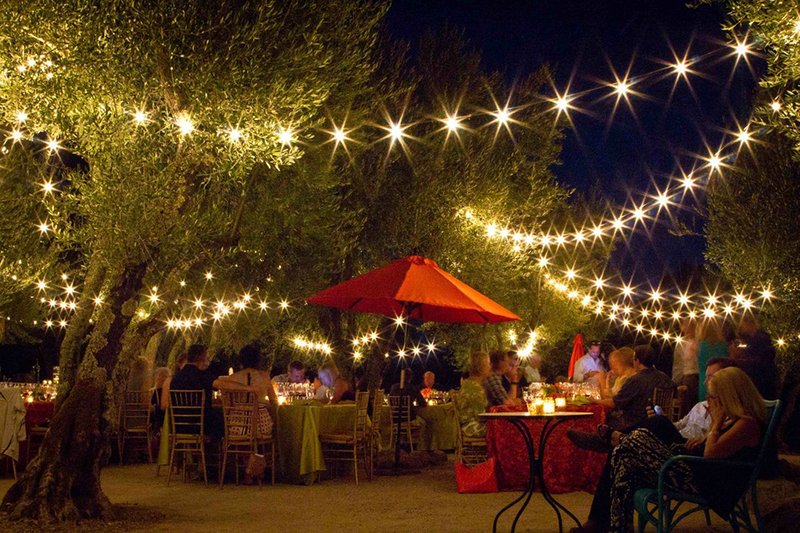 Ehlers Estate is located in what is arguably the most beautiful area of Napa Valley. 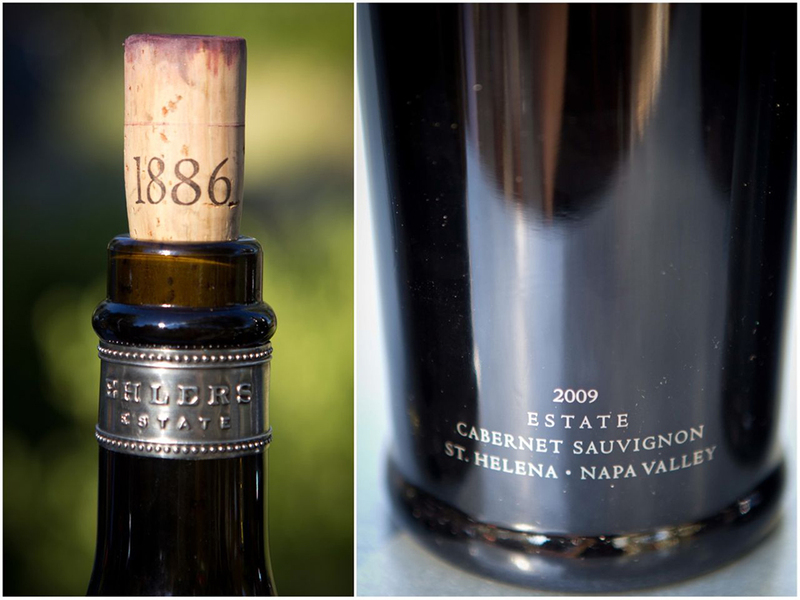 One hears the words “magical” around here a lot but in the case of Ehlers Estate truer words were never spoken. 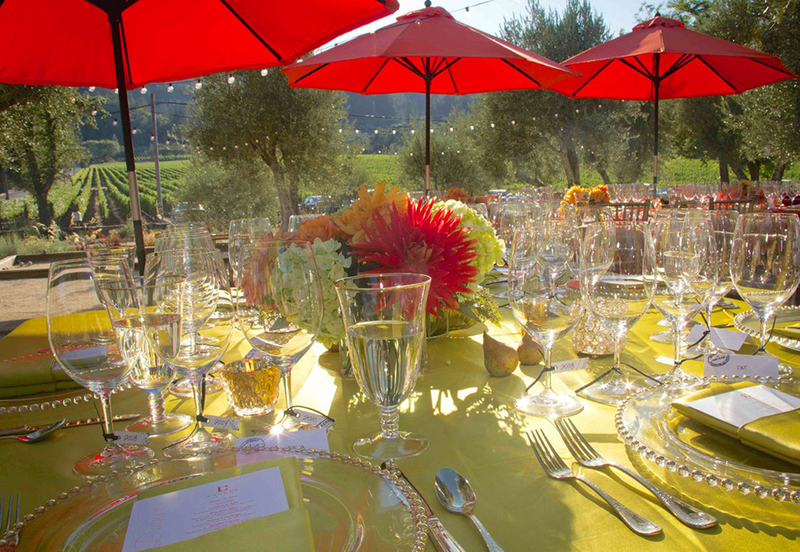 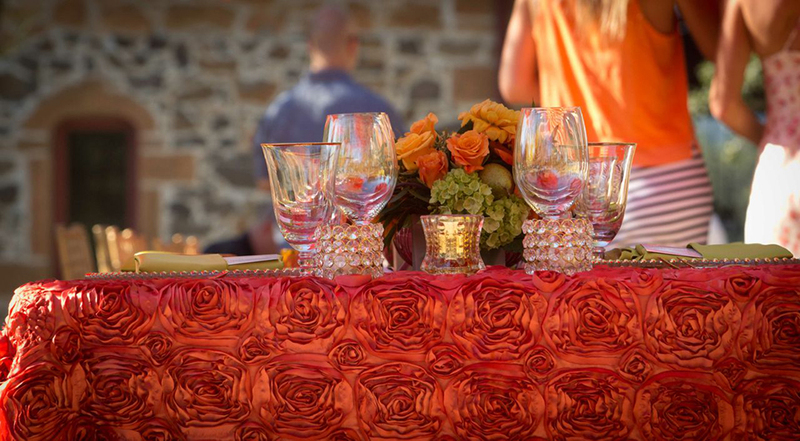 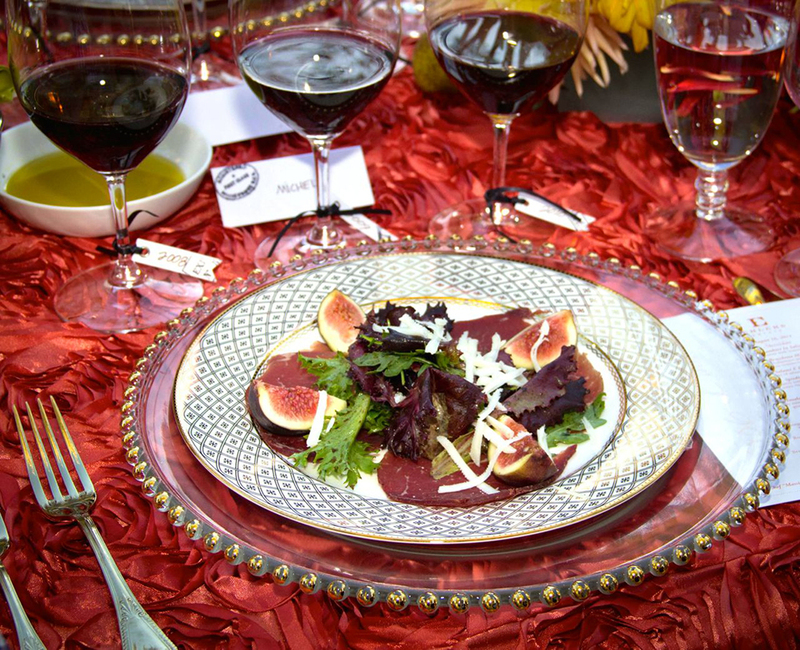 We had the privilege of partnering with this amazing winery for this year’s glamorous annual 1886 Release Party, which featured beautifully bold linens and timeless golden accents. 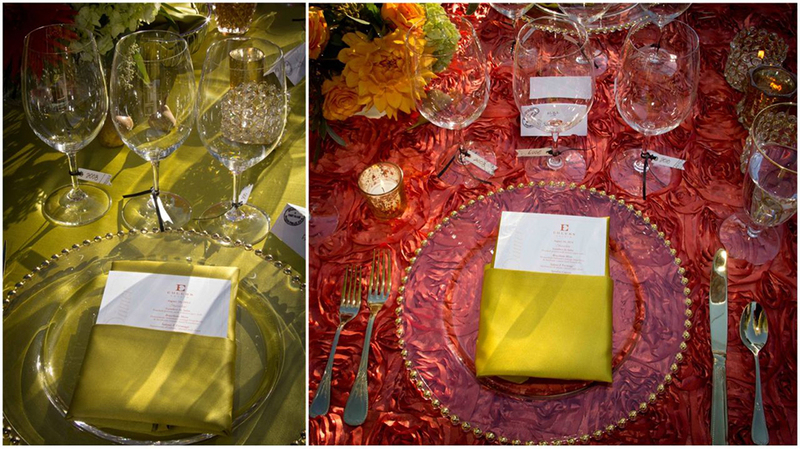 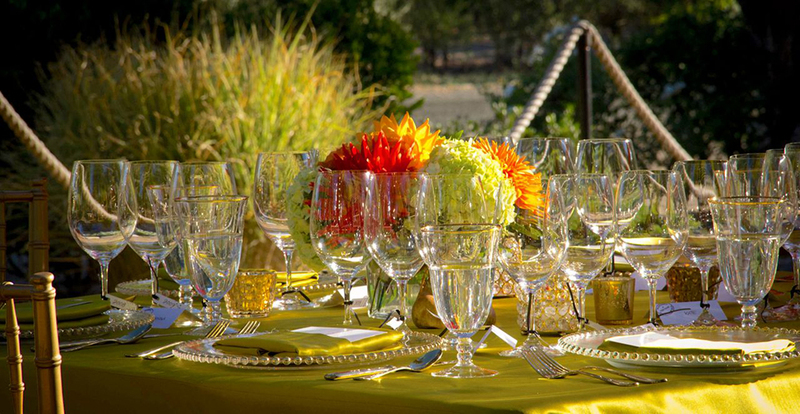 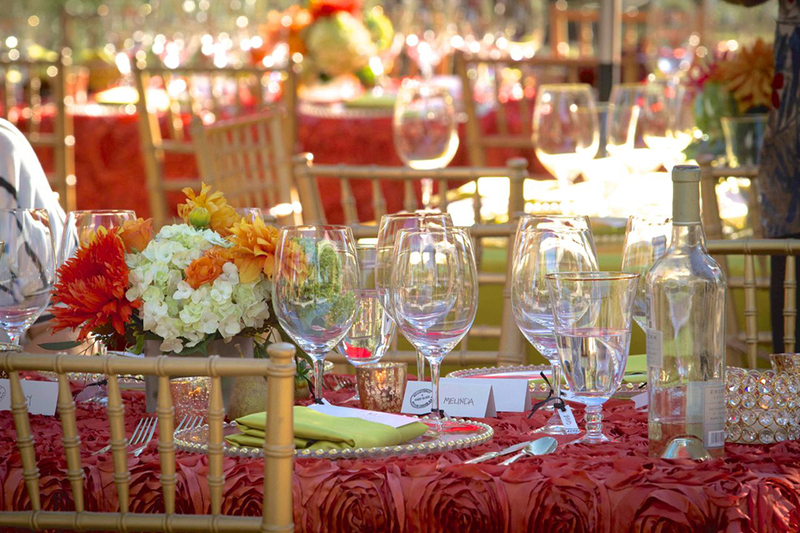 Citron Chartreuse glamour paired with luscious apricot linen set the tone for this Sinatra-esque styled event.